What Two Colors Combine To Make Blue? What two colors combine together to make the color blue? The answer to this question depends on whether you are talking about the blue which is part of the visible light spectrum, or certain pigments of materials that can be mixed together. In terms of the light spectrum blue is a primary color, which means that it is one of the base colors that exists in the universe and it cannot be created by combining different colors together. The other primary colors of light are green and red. This is why when using digital paint programs, the values are given in RGB (Red, Green, Blue) format. When talking about combining pigments together, such as when painting, the calculation is slightly different. Pigments don’t emit or produce light of a certain color, rather they get their colors by absorbing specific wavelengths of color. The primary pigment colors are cyan, magenta, and yellow. Cyan absorbs red, yellow absorbs blue, and magenta absorbs green. Therefore, in order to get a blue coloration from pigments you would need to absorb the red and green light colors, which can be achieved by mixing magenta and cyan. Electromagnetic radiation is everywhere in the entire universe. Electromagnetic radiation comes in different forms such as radio waves, ultraviolet radiation, infrared radiation, microwaves, and visible light. What we define as visible light is just the wavelengths of electromagnetic radiation that are visible to the human eyes. Electromagnetic radiation is transmitted by particles or waves at various frequencies and wavelengths, and the range of wavelengths that radiation can be transmitted in is referred to as the electromagnetic spectrum. The electromagnetic (or EM) spectrum is typically divided into seven different regions. These regions are listed in order of increasing energy frequency and decreasing wavelength. The most common labels for these seven regions are as follows: radio waves, microwaves, infrared, visible light, ultraviolet, x-rays, and gamma rays. Visible light is the light that falls on the electromagnetic spectrum between infrared wavelengths and ultraviolet wavelengths, and the frequency of visible light is approximately 4×10^14 to 8 x 10^14 cycles every second. This can also be expressed as hertz in wavelengths of approximately 740 nm to 380 nm. Color and temperature are correlated with one another. This is because when objects grow hotter the energy the object radiates is primarily made up of shorter wavelengths, and this looks like the changing of colors to the human eye. An easy example to visualize is a blowtorch. Initially the flame of a blowtorch is reddish, yet it turns bluish as the flame is adjusted and becomes hotter. Incandescence is the process of converting heat energy into light energy. Incandescent light is emitted when hot material emits photons, part of the material’s thermal vibration energy. The energy radiated by a hot object reaches the infrared portion of the EM spectrum at approximately 800°C or 1470° Fahrenheit. As the temperature climbs beyond this point, the radiated energy climbs into the visible portion of the EM spectrum, and the object will begin to glow red. If the object continues to get hotter still it will gain a white-hot color, and then a blue color after that. As you may be able to guess, because color and temperature are related, astronomers are able to look at interstellar objects like stars and estimate their temperatures based off of their color. For instance, the light emitted by the sun has a wavelength of around 550 NM, which is perceived as either yellow or whitish light. This is the result of the surface of the sun being around 5800° Kelvin, or 5527°C or 9980° F. Cooler stars, those around 3000°C or so, would give off a more reddish glow, such as the star Betelgeuse. Meanwhile, hotter stars, such as those with a Temperature of around 12,000°C would give off a bluish light, like Rigel. The wavelengths of light an object gives off can also help astronomers make inferences about the composition of an object. This is because every element absorbs different wavelengths of light, something referred to as the absorption spectrum. By analyzing what part of the spectrum is being absorbed by objects, astronomers can determine the likely chemical composition of things like asteroids, dust clouds, and stars. The most salient aspect of the visible light spectrum for humans is color. Color is both a result of the way the human eye perceives light and an inherent property of the light itself. Objects don’t actually possess color, rather they refract or give off light which is in a certain wavelength and therefore appears to be a certain color. 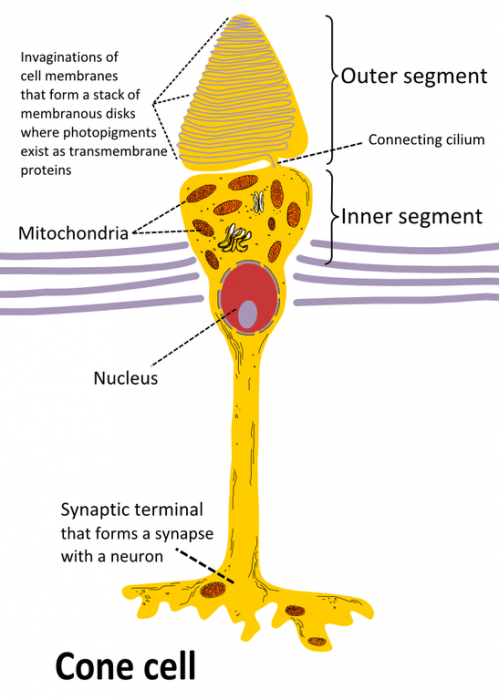 The human eye has a variety of specialized light receptor cells, referred to as rods and cones. Rods are cells that are specialized for vision at low light levels, taking in the visible light and sending it to the brain for processing. Meanwhile, cones are receivers that deal with the wavelengths of the EM spectrum which correspond with color. Wavelengths of light at the lower end of the visible spectrum (those that are around 740 NM) are interpreted as red, while light in the middle portion of the visible spectrum is seen as green, and wavelengths of light at the upper end of the spectrum (those around 380 NM) are seen as violet. The other colors that the human eye perceives are simply mixtures of these three different colors. The color yellow for instance, is made up of both green and red while cyan is a mixture of blue and green, and magenta is a mixture of blue and red. White light occurs when all the colors are combined together, while black is the absence of light. 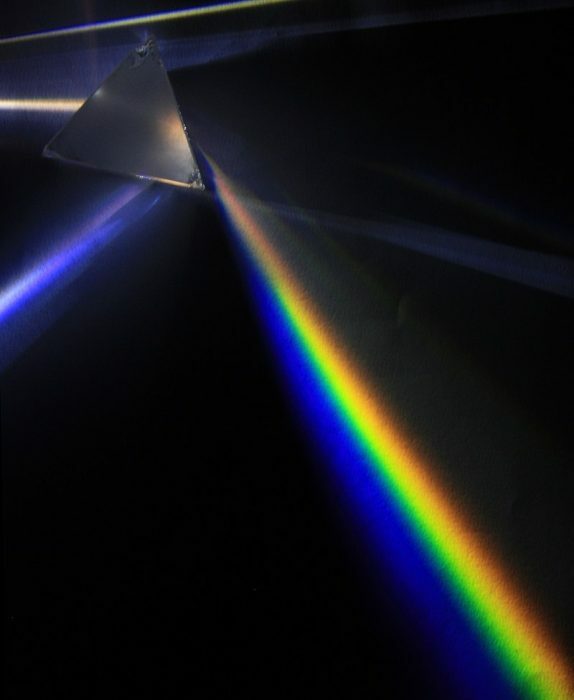 The fact that white light is made up of the three colors on the visible spectrum was realized by Isaac Newton, who passed some light through a prism and found that there was a color spectrum projected onto a nearby wall. 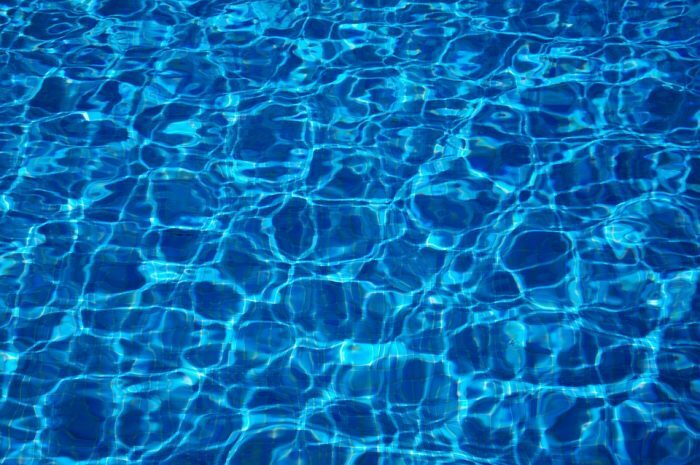 As for the color blue, the true blue of the primary color is witnessed at around a wavelength of 470. Pigments work not by adding light together, but by removing some of the light frequencies from the combination of frequencies that creates a white light. With pigments, the colors that are absorbed by the pigment are the colors you won’t see, you will only see the colors that bounce off the object and enter your eye. This system of coloration is called subtractive color, and it is what is used in dyes and paints. The molecules within the paint or dye absorb certain frequencies and reflect the other frequencies away, and these reflected frequencies are what the brain interprets as the color of that object. For instance, a famous pigment is known as chlorophyll, and this pigment absorbs the red and blue parts of the visible spectrum, reflecting the green light. Chlorophyll is what gives green plants their coloration. Hemoglobin, which is responsible for giving red blood cells their red color. Carotenoids are pigments produced by certain bacterias, among these is carotene which gives carrots and flamingos their orange/pink coloration. Anthocyanins, a type of water-soluble pigment that is found in the tissues of higher plants and can appear as red or blue. Melanin, a type of pigment found in most organisms which has a role in shielding cells from ultraviolet radiation. Poyene enolates, a specific type of red pigment unique to certain species of parrots. The atomic structure of an object determines what color it absorbs. The vibration frequency of the electrons in the object will be at or near the frequency of the incoming light waves. Because of this, the electrons in the material will absorb the light energy and begin to vibrate. If the atoms within the material hold onto their electrons tightly, the vibrations will be passed along the chain to the nuclei of the atoms. As a result, the atoms will speed up and hit into other atoms, giving off the heat energy that was acquired during the vibration process. As mentioned, when mixing pigments together, blue can be made by mixing cyan and magenta together. When you have a standard blue pigment, you can get other shades and hues of blues by combining other shades, hues, or colors together with it. For instance, if you want a lighter blue, you can combine aquamarine and white. Meanwhile, a royal shade of blue can be made by combining aquamarine and pink. A grayish blue can be made by combining brown and blue, while a dark blue can be made by combining standard/aquamarine blue and black.